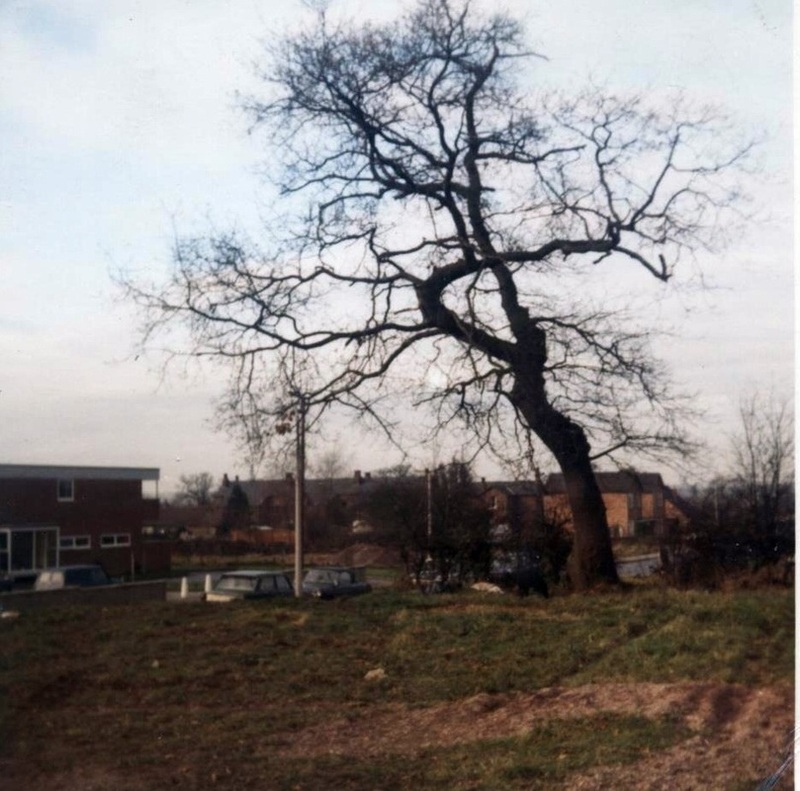 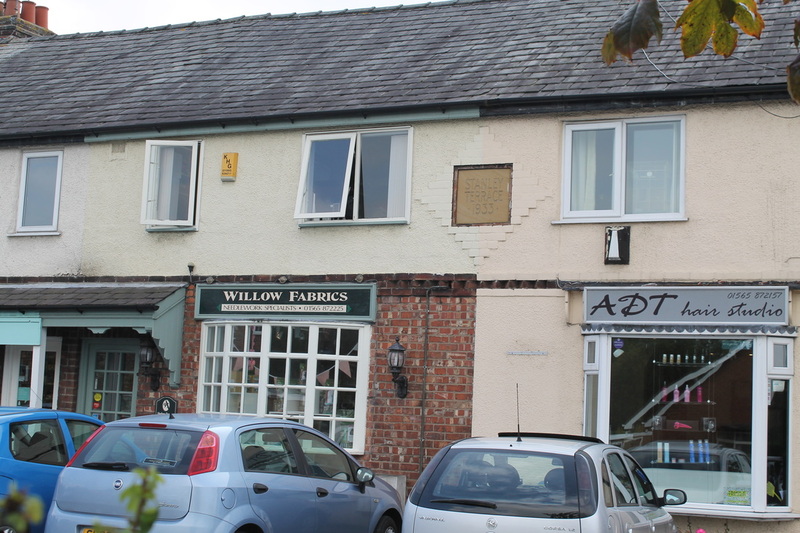 Clues to the expansion of Mobberley exist in many places if you look up. 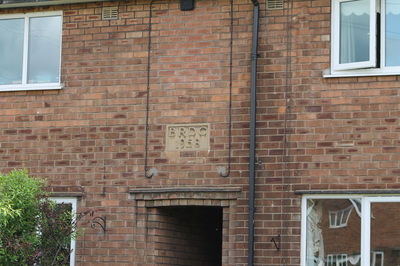 Above the parade of shops that includes the Pharmacy and Hairdresser iis a stone inscribed 'Stanley Terrace 1933'. Town Lane isn't a new road of course but most of the building along its southern side didn't exist until the 1930s. 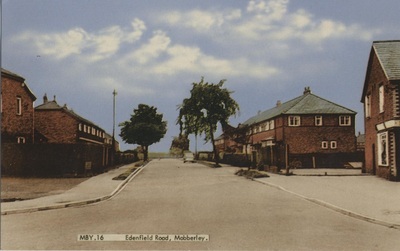 If you turn into Edenfield Road and look above number 4 you see two blue stones inscribed V and E. These stand for Vincent Eden who built the houses in 1938, and above number 17 you can see this date. 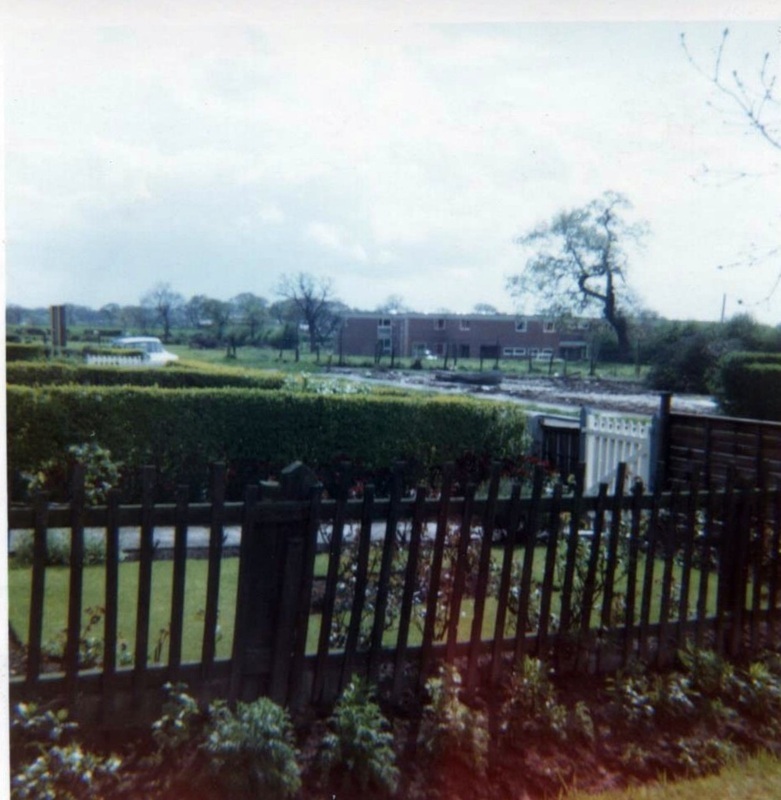 Turn into Townfield Road and ahead of you in Tatton Stiil it tells you that Bucklow Rural District Council built these in 1952. 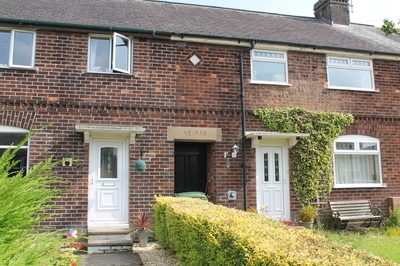 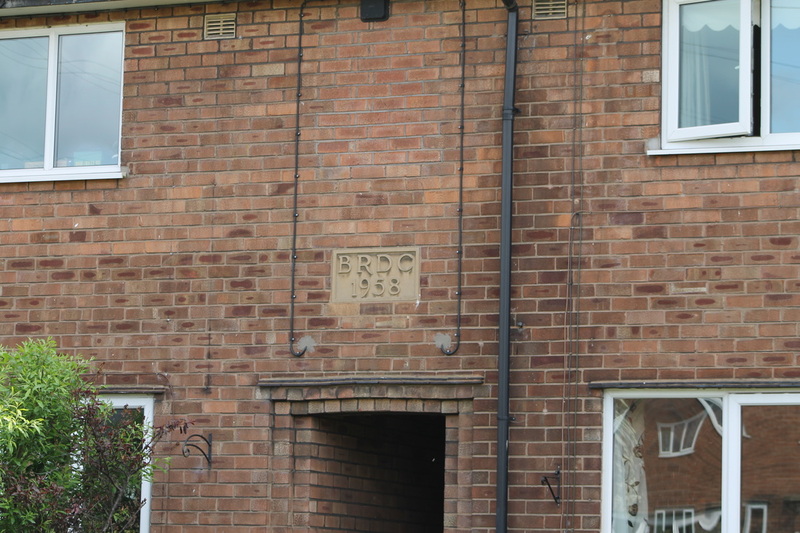 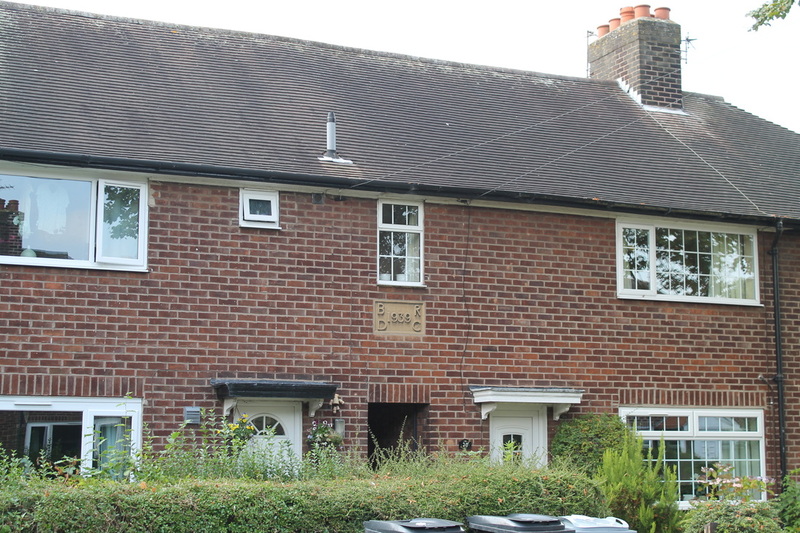 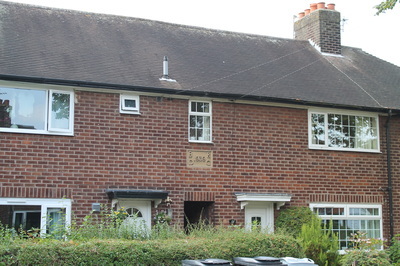 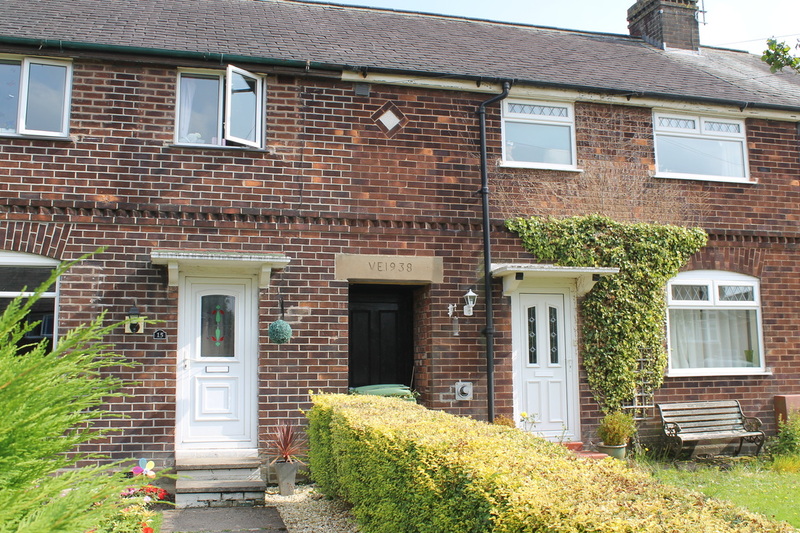 It's obvious that the extension of Edenfield Road down to Meadowsweet Drive is quite recent but come round into Bucklow Avenue and a stone above the terraced housing is inscribed 1939. Pavement Lane, the next road off Town Lane was built in the 1960s by the Barker family. The terrace further down Pavement Lane didn't exist at the 1911 census but must have been built soon afterwards as at least three men who served in the Great War gave addresses there. 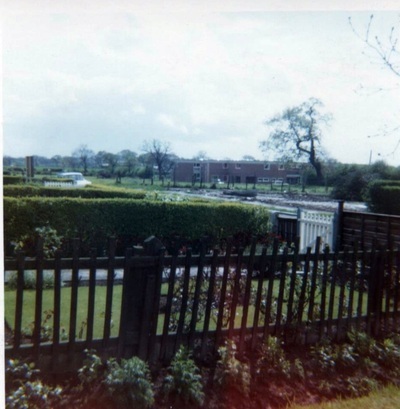 Across the other side of Town Lane, Oldfield Drive is visible in aerial photographs taken in 1945 when 'prefabs' were erected. 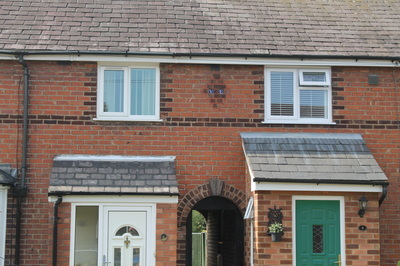 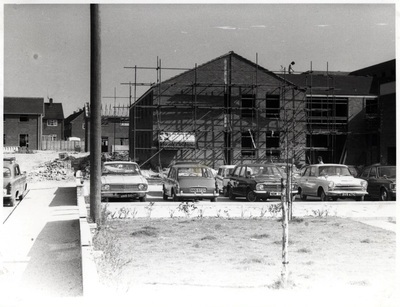 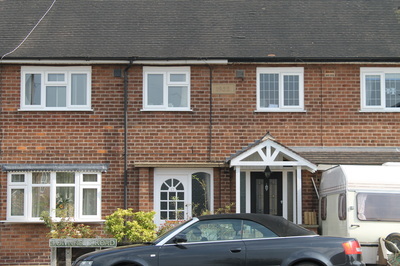 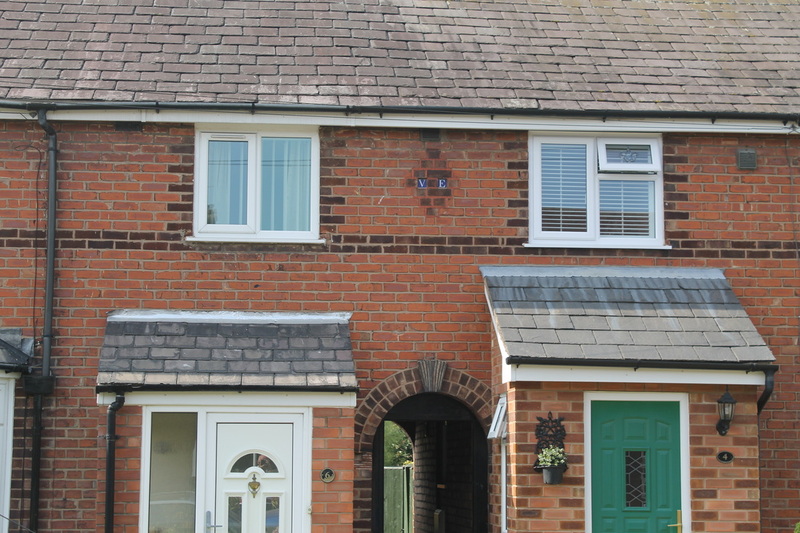 The extension into Carlisle Close came later. 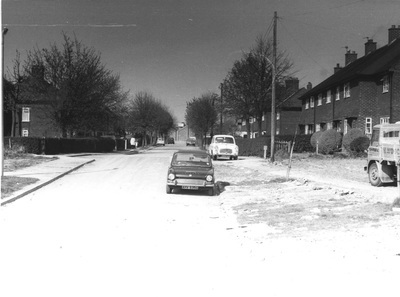 Looking down Bucklow Avenue towards Town Lane. 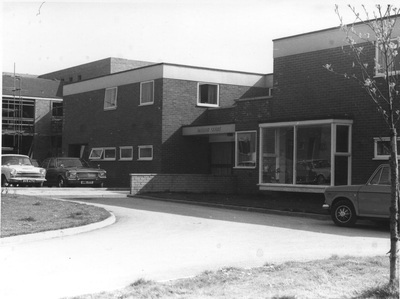 the G reg car would have been registered in 1969.